The Julia’s Star team is currently looking for a couple of volunteers to help teach a workshop on tolerance and social justice on April 2nd and April 9th, from 10-12. 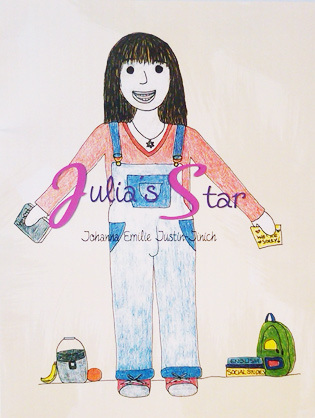 Julia’s Star is a group of students who use a children’s book written by a (now deceased) Wes alumna to teach elementary school students in Middletown about the importance of diversity and the dangers of stereotyping. This project is about talking to children in an honest and real way about prejudice and stereotyping. Diversity training is not part of Connecticut state curriculum, but Julia’s Star feels it is essential for students to grow up with the vocabulary to talk about prejudice, to know how to ask each other questions, and to learn to embrace and enjoy difference. This is a special project that encourages important conversation about difference while honoring the memory of Johanna Justin-Jinich by sharing the magic of her book. If you have more questions or are interested in volunteering, please email Tara Nair at tnair@wesleyan.edu.